If what Dallas Plumbing Company promises and what their regular clients say is anything to go by, there is no doubting the fact that this is the best company for home air conditioning repair services. The company enjoys a huge following and a massive customer base in most parts of this region and so, you can only expect that what they offer is top class. It is the desire of every client to find services that are worth their money. It also is good when they find a company that knows exactly what to do so as to satisfy them. Here are some of the things that you should know about the company. One of the most notable things that can be noted about what the company promises to deliver when you hire them for this project is that they will do it very fast. 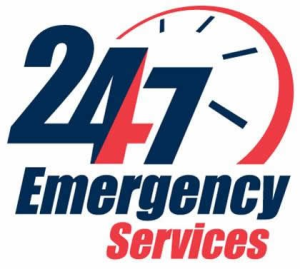 Whether it is an emergency situation or you just want to have something fixed very fast, you can count on them for the experience. This has been attributed to the fact that they have enough workers to take care of all the tasks that they are entrusted with. Additionally, they are always expanding which means that there always is room for new clients. They put you at the helm of the project to ensure that what you want is what is done. This is not the kind of company that will keep you in the dark only to find out that they have done exactly what you did not want. Everyone knows that when it comes to home AC repair and maintenance, there always are unique things that everyone wants. For instance, the quality of air and the preferred interior temperature might vary depending on what every client is after. This is the reason why the company will always let you decide what you want. Additionally, the company promises to give you value for your money when you hire them for home air conditioning repair services. If you compare their rates with the many other contractors that can be found in this area, you quickly will notice that there is a big variation. 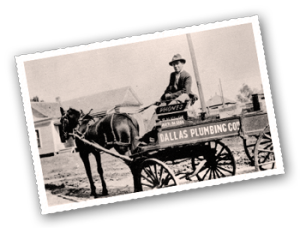 In fact, it is baffling the way that some of those who charge higher do not even have the capacity to match the quality that you are likely to get when you choose Dallas Plumbing Company. Now, you understand where your money should be directed to if what you are looking for is value. This is company that believes in the power of communication. It is a common understanding that unless you are given all the information about this project, you will be more likely to be sidelined and so, the results might not be the type that you wanted. For instance, when there are new spare parts that need to be bought and your company does neither inform you nor include the information in the quote, the only thing that can be expected is that your planning and budgeting processes will be interfered with. This is despite the fact that they are the processes that are crucial to the success of the entire project. Another promise that the company makes is that they will be thorough with their work. When it comes to evaluating the air conditioner and identifying the problem, they ensure that they check every part of it. They understand that even though the problem could just be that the AC is producing too much noise; there could be many other faults that have yet to play out. It therefore is good to check every aspect and ensure that everything is function well. Although they might seem to take some more time, you can be sure that at the end of it all, you will be thanking them for this. There also are additional services that you will get when you hire this company. Their usefulness does not stop when you have your AC up and running again. Apart from that, they will guide you on the best ways through which you can ensure that the faults do not occur again. They also are likely to recommend other products which you can use alongside your AC for the best results. What is even better is the way that they will keep checking ion you to see if the air conditioner works the way it should. 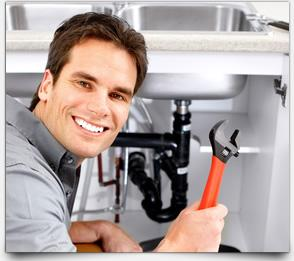 What do clients say about the services of Dallas Plumbing Company? As would be expected, the clients are full of praise for this company. Most of those who were surveyed said that whenever they had any problem with their air conditioners, they definitely will go back to the same contractor for a solution. They point out the fact that this is a company is so friendly and which has the needs of their clients at heat as the major reason why they would do this. Others said that the highly skilled technicians are the strongest selling point for the company. Another thing that can be noted from the feedback that has been submitted by clients is that the company has an amazing customer support system. Any inquiries including requests for quotes are processes almost instantly. The fact that you can contact them either through a phone call or through a support ticket on their website makes the whole thing much easier. Therefore, in case there is any misunderstanding or delay in executing the work, you can be sure that it will be solved very fast. It always feels good when you know that the contractor you have chosen is available to listen to you all the time. From this information, it is clear that when it comes to home air conditioning repair services, Dallas Plumbing Company has no equal. The overwhelming mood is that they have the trust of their clients and that they are committed to giving them the best that there can ever be. You too can enjoy these benefits if you choose to hire this company for your next AC repair project.